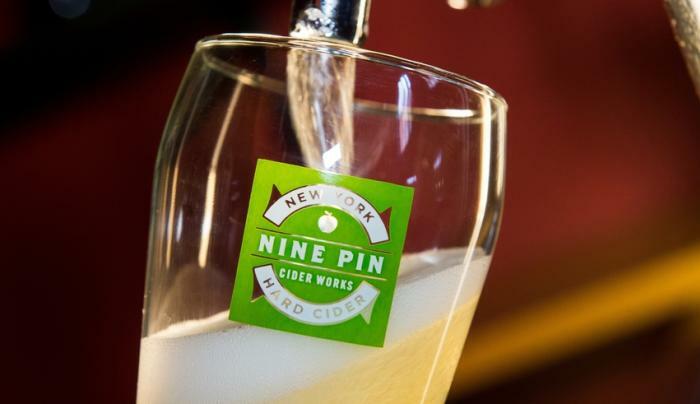 Nine Pin Ciderworks crafts delicious hard cider using 100% locally sourced New York apples and fruit. Our tasting room, located in downtown Albany’s exciting Warehouse District, offers 18 taps of unique New York ciders and beers as well as delicious cider cocktails. Pair a cider with one of our gourmet sourdough pizzas or other house-made small plates. Bottles, cans and growlers are available. 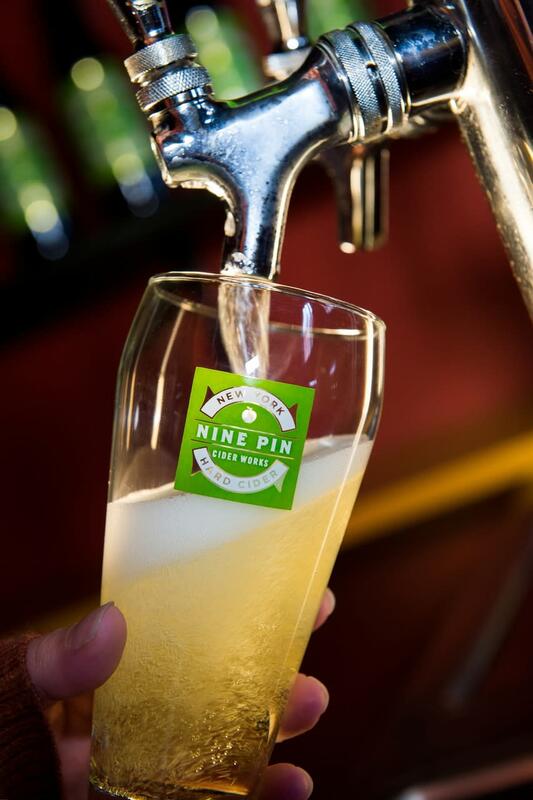 Drink New York apples at Nine Pin! A TasteNY attraction.